Our highly trained clinical team ensures all issues contributing to your problem are detected; not just your presenting symptoms. If you have pelvic floor issues or musculoskeletal injuries, we will peel back every layer to understand your body and the cause of your problem. We believe that every body needs to move and we have a range of exercise classes for women of all ages and stages. If you are pregnant, postnatal, injured, fighting fit or in your vintage years we are passionate about getting you moving the right way. If you have been recently diagnosed, currently undergoing or have completed your cancer treatment we can help you. 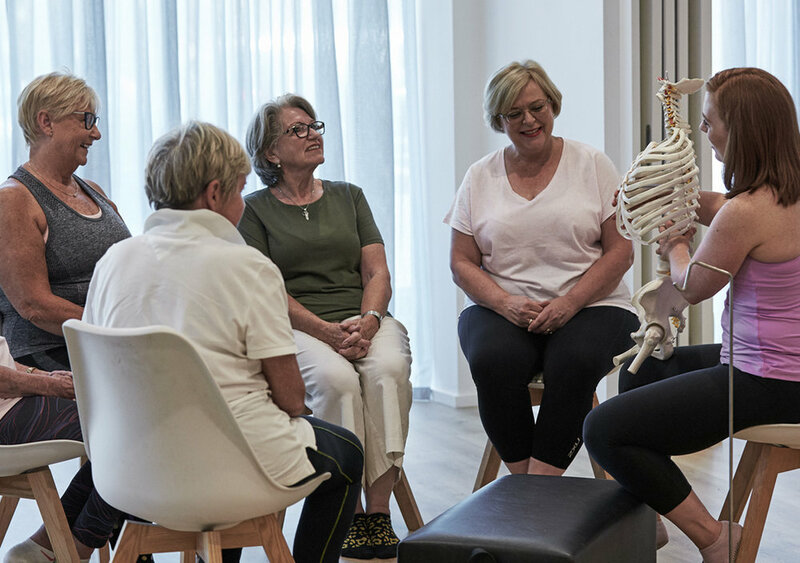 We have evidence-based cancer specific exercise classes and the latest SOZO Lymphoedema technology to give your body the specialised care it needs. We are obsessed with learning everything we can about women’s health and staying up to date with latest research. The great news? We love sharing our findings with you, so check out our blog, Facebook and Instagram to stay informed and feel empowered to make better choices for your health. We also share our research at regular workshops and events. Please get in touch if you’d like to have an expert on women’s health speak at your event.